Whew! Did everyone survive Thanksgiving? We had 11 adults and 2 toddlers at my house this year, but we all survived! It certainly went better than the first one I hosted. 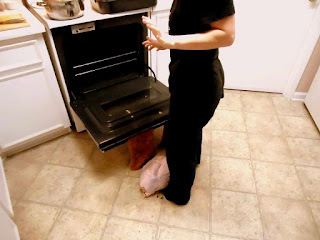 Three years ago, I sliced my finger open, my husband dropped the pie, and the turkey didn't want to go into the oven. It has come to be known in our family as the Great Turkey Drop. But I had no problems this year, except for a crowded house. And now I have a different problem: turkey leftovers! This is one of my favorite recipes, and one I make often using leftover roast chicken, but turkey gives it that rich flavor that I love in the days after Thanksgiving. You only need a few ingredients. Sautee the mushrooms in about a tablespoon of butter and a little salt. While the mushrooms are cooking, make a roux with 2-3 tablespoons of butter and 2 tablespoons of flour. Add your turkey broth, then add the cream when the sauce begins to thicken. I like the "layer" effect: pasta, turkey, mushrooms, then sauce. Top it with parmesan cheese, then cover and bake for about 30 minutes. I alway make tons of this because I can eat the leftovers for days! In this case, I made a small pan to go in the freezer for a night when I just don't feel like cooking. 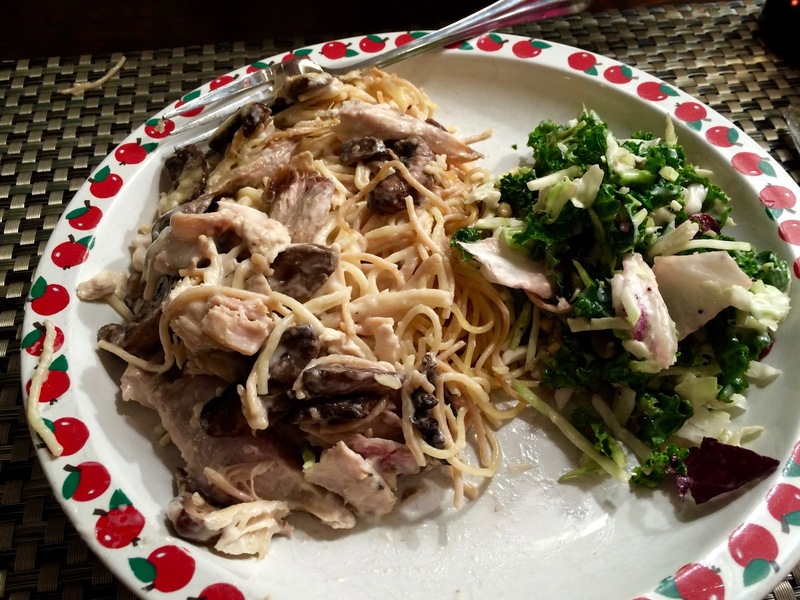 Hooray for plenty of tetrazzini! 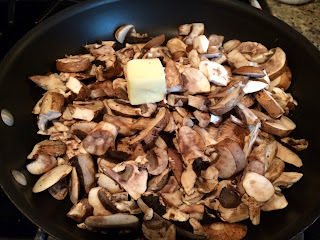 Sautee mushrooms in 1 Tbsp butter. 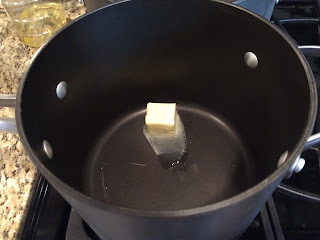 While mushrooms are cooking, make a roux of remaining butter and flour. Cook 1-2 minutes, then slowly whisk in broth. Cook over medium heat until sauce begins to thicken. Salt and pepper to taste. Slowly add cream to sauce and allow to cook another 5 minutes. 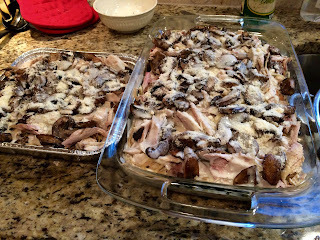 In a 9x13 pan, layer cooked pasta, then turkey and mushrooms. Pour in sauce and top with Parmesan. Cover with foil and bake at 350 for 30 minutes. Hi Kimm! I make this with chicken all year long, and really only do turkey when I have Thanksgiving leftovers. It's great both ways! Thanks for hosting the link party and for coming to visit! This does look so yummy! I made a casserole with my leftover turkey, but I am going to make it with chicken. 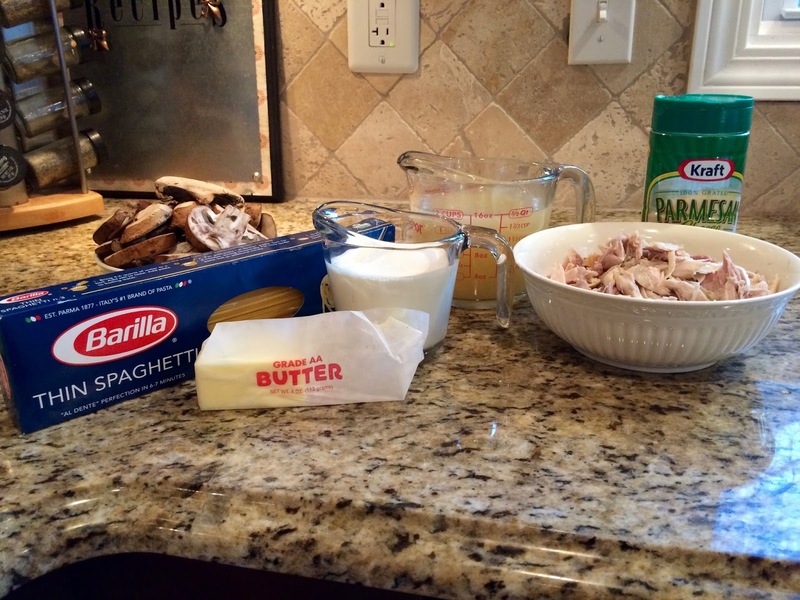 Thanks for sharing the recipe with SYC.